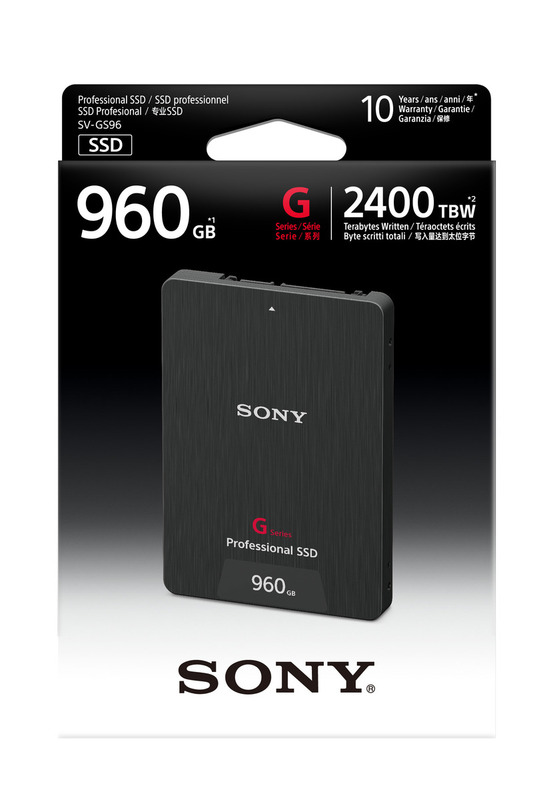 New Delhi, 25 May 2017: Addressing the increasing data storage demand from professionals, Sony India today expanded its professional media line-up with the introduction of two new G Series Professional Solid State Drives (SSD) in 960GB (SV-GS96) and480GB (SV-GS48) capacities. These SSDs are designed to cater the upward trend for reliable, external video recording devices docked to camcorders or high-performance DSLRs. Sony’s G Series SSDs delivers optimal performance for several popular professional video recording devices, while offering a far longer lifetime. The drives are best suited for content creators looking for more efficient, stable and flexible hi-bitrate recording in often unpredictable environment conditions. Building on the reliability synonymous with Sony’s Professional Media products, the new SSDs are a solid option for respective video recorders, offering videographers stable high-speed capabilities, a sense of security and lower cost of ownership due to their longer life. The drives are designed for ultra-fast, stable data writing. While other SSDs have a tendency for data write speeds to suddenly drop after repeated re-write cycles, Sony G Series SSDs feature built-in technology preventing sudden speed decreases, while ensuring stable recording of high bitrate 4K video without frame dropping. For example, used with an ATOMOS Shogun Inferno, G series SSD is able to record video at 4K 60p (ProRes 422 HQ) mode stably. G Series SSDs offer data protection technology that keeps content secure and intact, even if a sudden power failure occurs. Adding to the drive’s stability, it features a durable connector which withstandsextreme repeated insertion and removal up to 3000 times - or 6 times more tolerance than standard SATA connectors - even in harsh conditions. Sony’s SSD G Series will be available across all Sony Center and major electronic stores across India. The drives would be accompanied with 10 years of Warranty. Sony India is one of the most recognized consumer electronics brand in the country, with a reputation for new age technology, digital concepts and excellent after sales service. In India, Sony has its footprint across all major towns and cities in the country through a distribution network comprising of over 12,000 dealers and distributors, more than 250 exclusive Sony outlets and 26 branch locations. Sony India also has a strong service presence across the country with 349 service outlets. Manned by customer friendly and informed sales persons, Sony’s exclusive stores ‘Sony Center’ are fast becoming the most visible face of the company in India. A distinctive feature of Sony’s service is its highly motivated and well-trained staff that provides the kind of attentive and sensitive service that is rare today.